You are at:Home»TV Show Episodes»Category: "Season 15 Episodes"
Jason Mitchell Outdoors Television is a regionally broadcast television show available throughout the Midwest on both Cable and Broadcast, covering North and South Dakota, Minnesota, Iowa, Nebraska, Wisconsin Indiana, Illinois, Kansas and Missouri on Fox Sports Net North and Fox Sports Net Midwest. 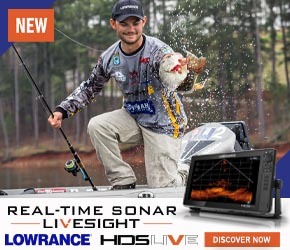 Our season 15 episodes feature and showcase some of the greatest fishing opportunities in the region along with techniques, guests and tactics that viewers find informative and enjoyable to watch. Season 15, Episode 18: Jason Mitchell targets shallow early season walleye with the new Salmo Rattling Hornet 4.5 on Devils Lake, North Dakota. 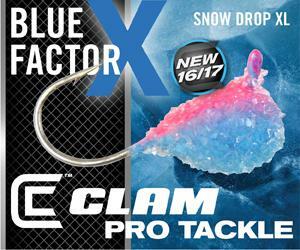 Season 15, Episode 17: Host Jason Mitchell along with veteran guide Al Maas tag team big largemouth bass by grinding crank baits like the Salmo H6F Hornet and probing football head jigs along deep weed breaks in northern Minnesota. Season 15, Episode 16: Host Jason Mitchell joins veteran guide Tim Snyder on beautiful Lake Kabetogama in northern Minnesota. Classic structure where you can trust your electronics to vertical jig. Information on some of Minnesota’s most renown walleye water. Season 15, Episode 15: Host Jason Mitchell joins Park Rapids, Minnesota guide Jason Durham in central Minnesota where the anglers catch deep smallmouth and largemouth bass in extremely clear water with subtle marabou jig presentations. 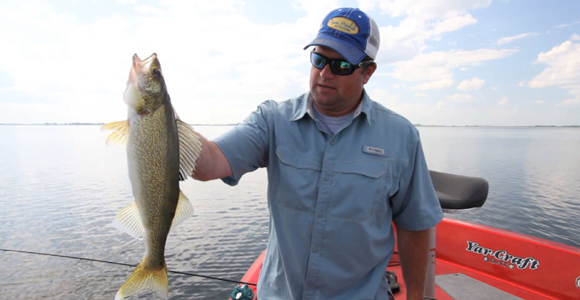 Walleye Fishing with Brand New Spinner HarnessSeason 15, Episode 14: Host Jason Mitchell burns the edges of weed lines during the middle of summer on Devils Lake, ND with a new spinner harness that he designed for Northland Fishing Tackle. Season 15, Episode 12: Jason Mitchell and guest Tony Mariotti share some straightforward strategies for finding bass fast along the bank.